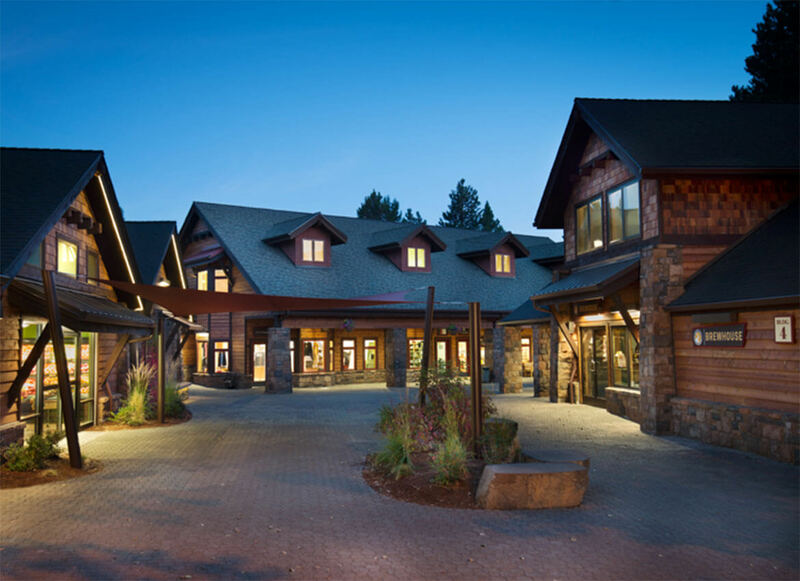 The Village at Sunriver’s remodeling and building project began in late 2008 and included seven remodeled buildings and three new buildings. 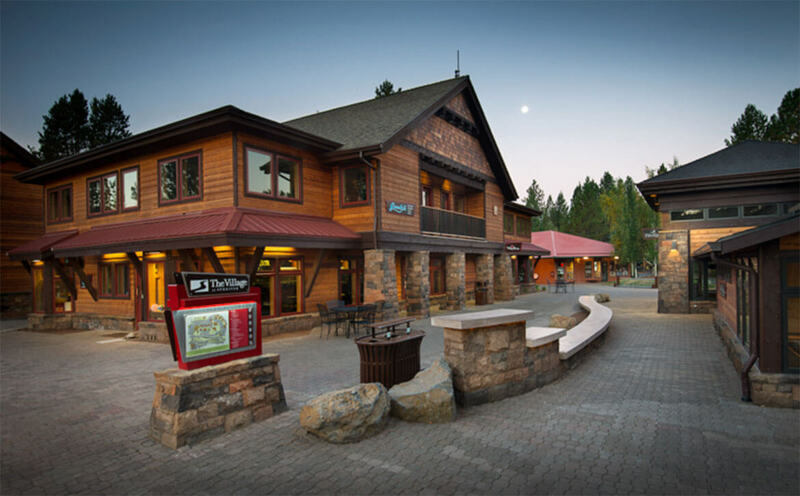 The remodel of The Village at Sunriver restored what has long been considered a significant and meaningful piece of Sunriver’s history. 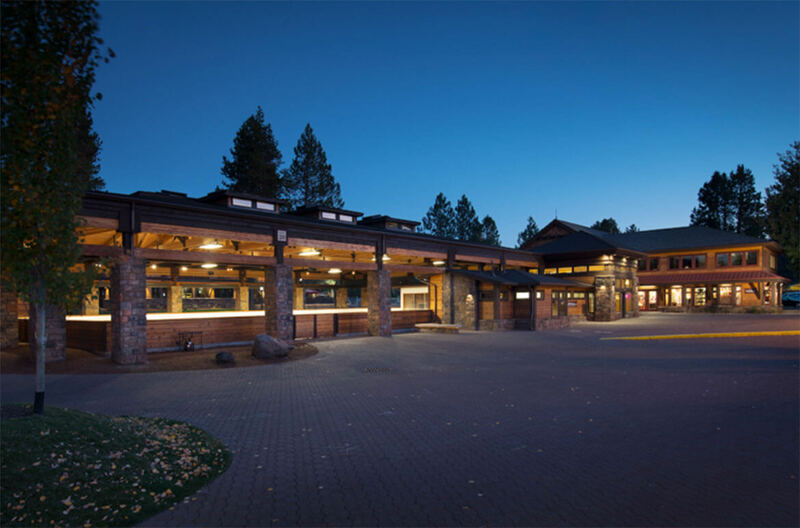 The resort community of Sunriver and the original Sunriver Mall was established in the late 1960’s. Today, kids that vacationed in Sunriver and enjoyed the attractions of the original Village with their families return each year with their own children. In the 1960’s and 70’s, the resort community of Sunriver was a trend setter in the way of environmentally conscious design and building. Its design was intended to reduce impact to the natural environment and contrary to popular building practices of the era, promote open spaces and conserve natural resources. In keeping with the original vision, Lenity Architecture’s plans for The Village at Sunriver were intended to leave a small development footprint. Tree conservation and green building practices were implemented whenever possible. To compliment the natural environment, the design of The Village is based on the concept of a modern lodge aesthetic with simple forms and natural materials. Cobbles, shingles, and real stone were used throughout the property. 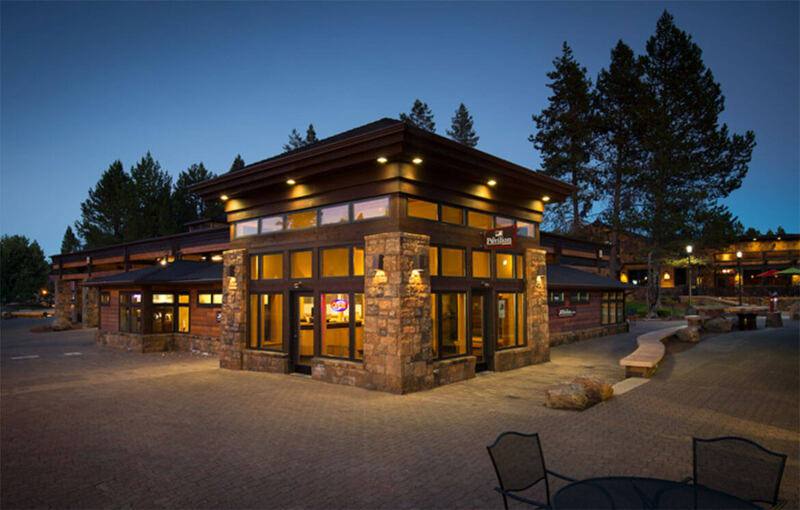 Aaron Clark, the Project Architect for The Village at Sunriver, explains the design objectives and shares his perspective on the remodel and building process. “From a design standpoint, the intent of the remodel was to deliver on the uniqueness of the area, utilize green building practices whenever possible, maximize visibility for retailers, and create open and lively spaces for visitors to relax while shopping. 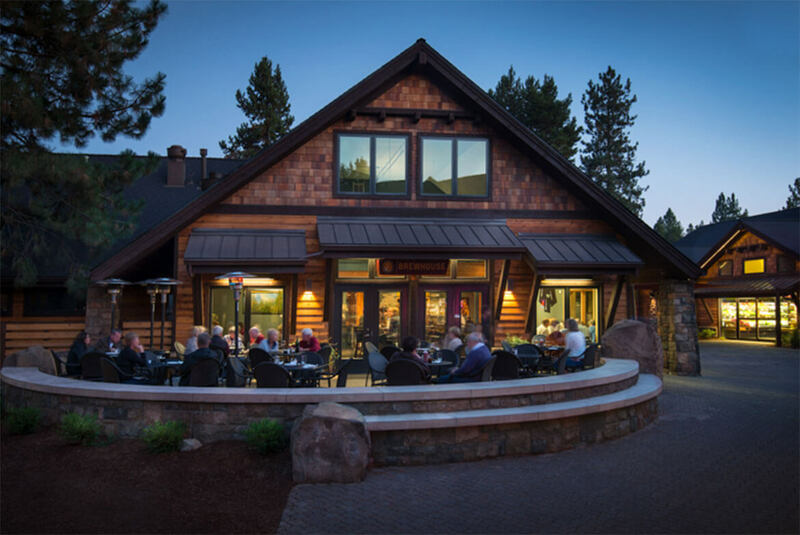 Lenity Architecture worked hand in hand with the Sunriver Homeowners Association as well as local residents and business owners during the planning, design and building process. The effort invested in these relationships resulted in the entire community getting behind the project. –Hugh Palcic, Assistant General Manager, Sunriver Homeowners Association.